#GloCampusStorm is landing at a campus near you from October 2016 to April 2017. 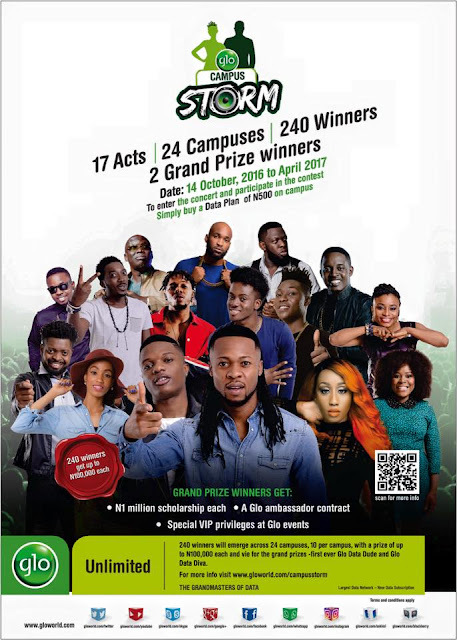 To enter, simply recharge N500 Glo Data Plan on campus and look out for the #GloCampusStorm coming to a campus near you. Brace yourselves… The storm is coming!!! Get ready University of Nigeria, Enugu, you are up next, October 21st. To enter and participate, simply buy a data plan of N500 on campus and you are in.